Get in the car, Piper Street is an easy hour’s drive from Melbourne. 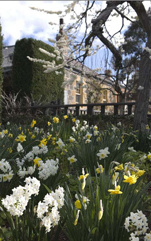 It’s the perfect halfway stop off on a drive to Bendigo, or detour on the way to Daylesford. But between you and me, once you’ve visited Piper Street, you might not get to the original destination.